It’s tough to be an airline, to manage those relentlessly rising fuel costs, to offer something different and stay true to your brand. 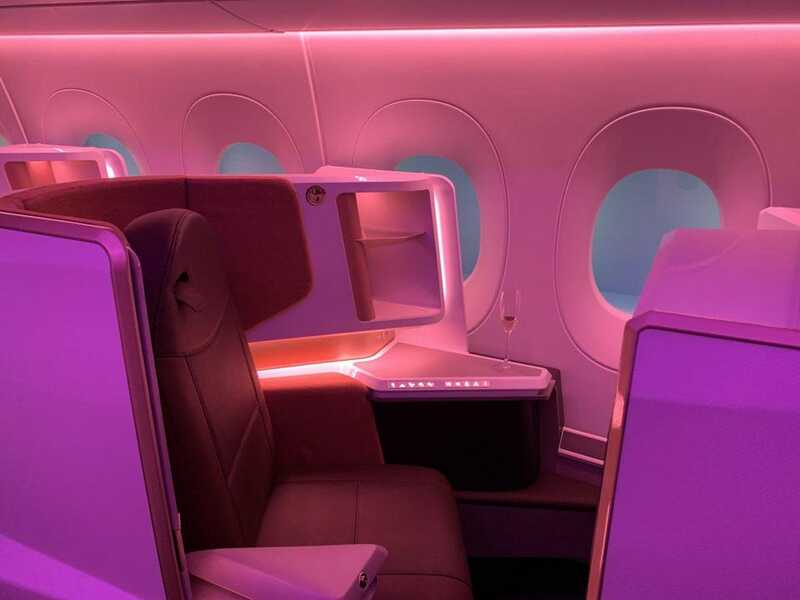 This week in London, Virgin Atlantic revealed its newest plane, the Airbus A350, and its cabin interiors, which will be first seen this summer on the airline’s London to New York route. Nobody, really nobody, does personality like Virgin Atlantic. Look no further than the fact that its business cabin is called Upper Class. How very British. No matter that founder Sir Richard Branson’s original plan to call the economy cabin “Riff Raff’ was overruled, there was still plenty to set Virgin apart from day one. It aimed to offer a first-class experience at business-class prices, with a limo to deliver you to and collect you from the airport. It introduced a mid-price cabin, which many other airlines have copied, called Premium Economy. 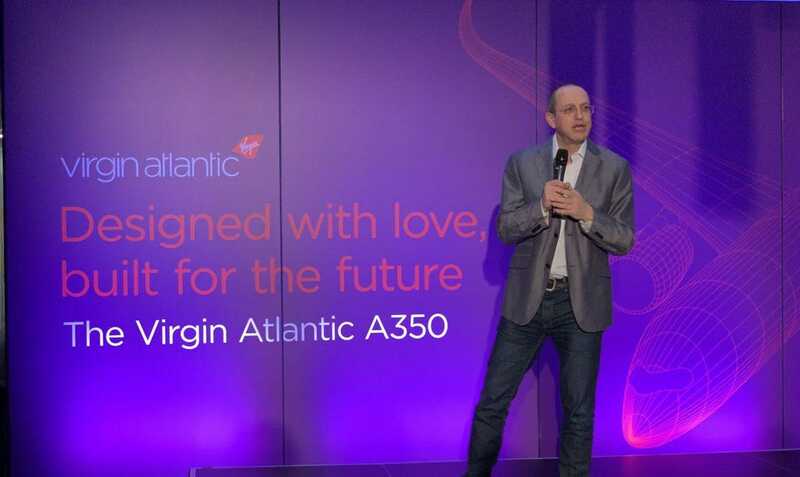 Now, it’s revealed what the next years of Virgin Atlantic will look like, with a preview of how its A350 hardware, planes which are being delivered in the coming months, will look. 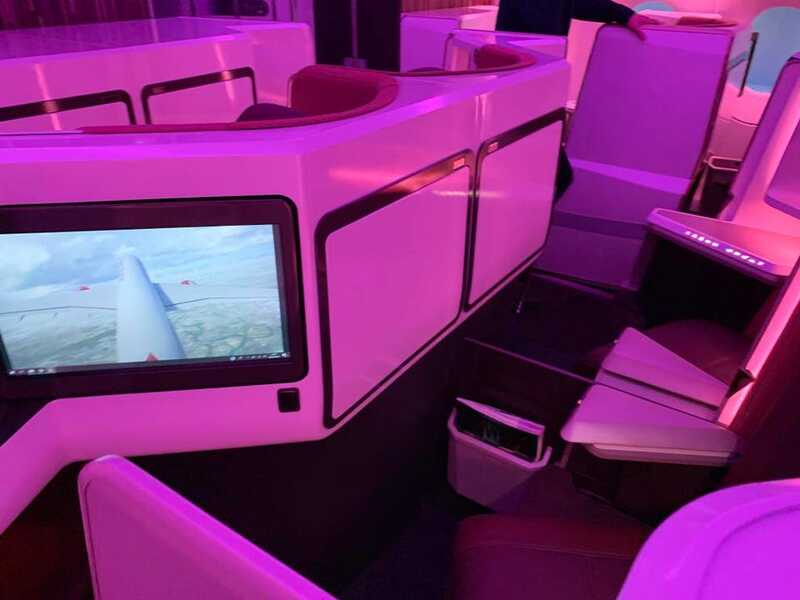 Next to Gatwick Airport, at the Virgin Atlantic base called, appropriately enough, The Base, the company’s CEO Shai Weiss unveiled an all-new look, with every seat, every cabin, completely redesigned. 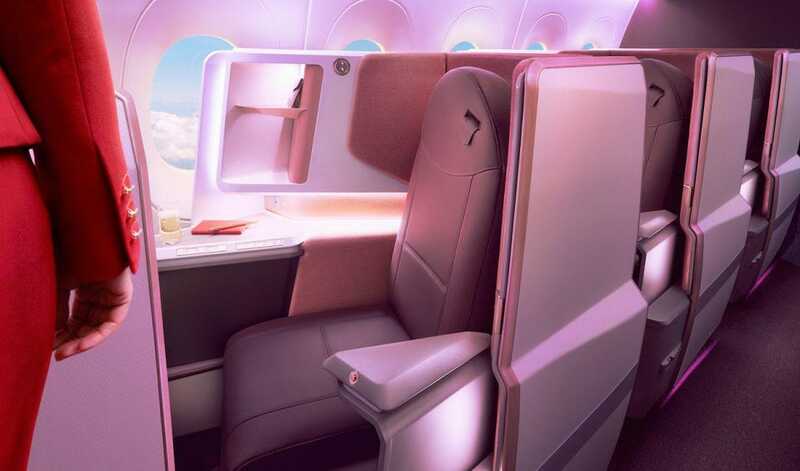 Here’s what the new Virgin Atlantic will be like. The Loft on Virgin Atlantic. Before you’ve reached your seat, the difference is palpable. You enter the A350 at door 2 to an area called The Loft. It’s a kind of lobby and welcome space. Once you’re airborne, it becomes a place Upper Class passengers can relax. But let’s come back to that. The seats have been redesigned with fabrics inspired by the fashion industry, layered and complex. The 235 economy seats on the A350 are in a 3-3-3 configuration, all with 11.6in seat-back TV screens (these are bigger than the ones in Upper Class just now), plus USB ports, power sockets, and adjustable headrests. The front four rows of Economy will have greater legroom, that’s a 34in pitch, more than rivals like British Airways. Virgin Atlantic Premium Economy seats. In many ways, this was the revelation of the new aircraft. The A350 has 56 of these leather seats, stately and comfortable in a way that many mid-range seats are not. New fabrics make them look attractive and feel extremely comfortable to sit in. They are in a 2-4-2 arrangement. The 13.3in TV can be controlled by your mobile phone, so you no longer have to poke the screen, and risk the wrath from disturbing the slumbering passenger in front of you. 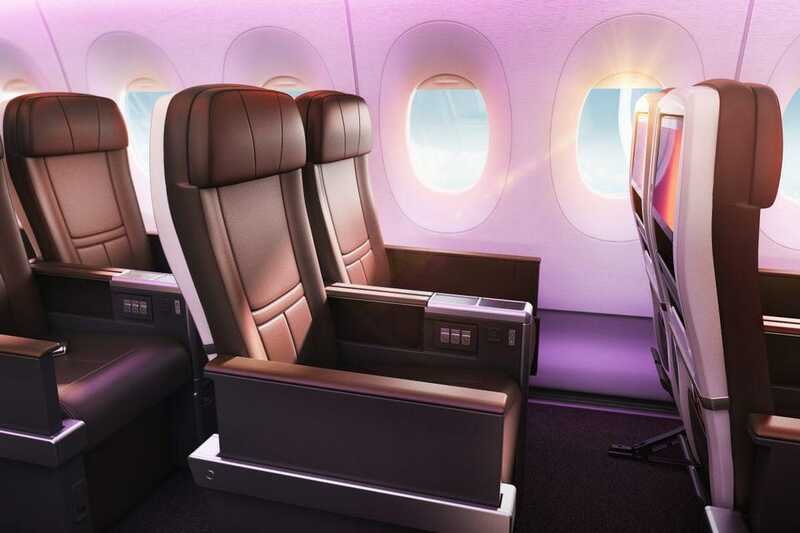 With this seat, Virgin’s mid-range offering is better than rivals. Okay, we’ve worked our way forward enough to get back to the Loft. Previously, Virgin Atlantic had a bar area with tall stools and a convivial atmosphere. Once in the air, the Loft is a compelling destination: 10 seats with places for drinks, a 32in touchscreen display and more. Virgin’s Clubhouse business lounges are known for their luxuriance and the Loft aims to continue that on board. Unlike the bar, the Loft has seat belts so if you’re having a good time there, you don’t have to go back to your seat when turbulence kicks in. A bowl-food menu means you can eat there, if you like, too. Oh, and there’s the tail cam, so you can watch the plane, live, as it hurtles through the sky. 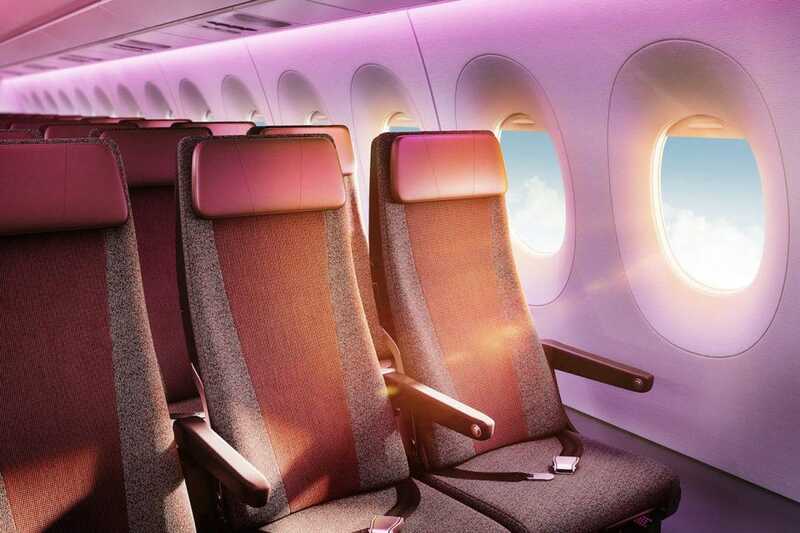 You can’t sit there for take-off or landing but in between, it’ll be an inviting stop for business passengers, especially if in the main cabin you didn’t end up seated next to your friend. 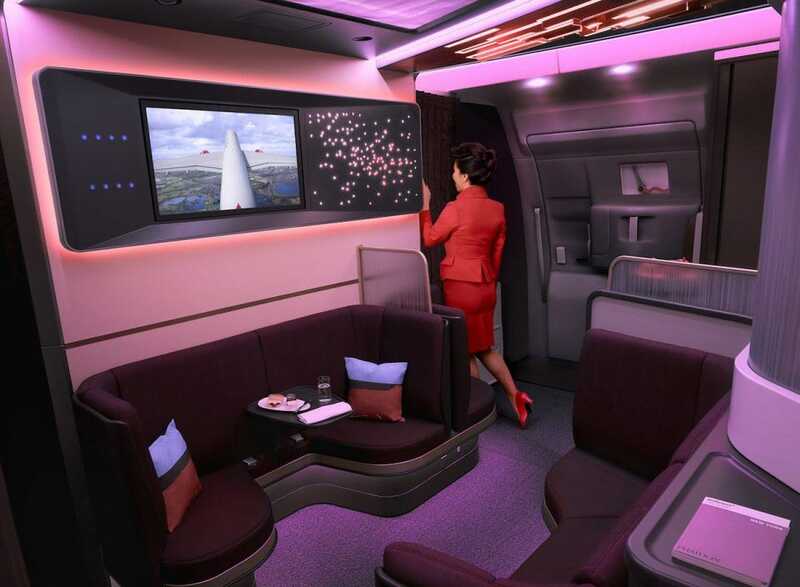 The slick new Upper Class on Virgin Atlantic. Seriously, this is a revelation. Where the previous herringbone design offered business customers privacy and independence but most seats faced inwards, the new set-up is elegant, classy and unbelievably comfortable. In a 1-2-1 layout, the 44 suites face towards the big windows and there’s enough privacy from your neighbor even if you’re in a middle seat. Virgin Atlantic CEO Shai Weiss reveals the new airplane design. The cabin is dressed in light colors, off-white, coral, dark red in an arrangement that’s warm and appealing. The 18.5in TV will have a new, intuitive operating system, again operable from your phone if you prefer. Oh, and the way the screen slides from docked to an active position, swiveling for the perfect viewing angle, is a joy to behold. The seat slides forward to create an 82in flatbed. The duvet is rich and comforting, I can attest, the pillows, apparently, the thickest in the sky. When you’re ready for a nap, the pajamas are personalized: you can pre-order trousers or shorts, long-sleeve top or T-shirts, as you prefer. The amenities bag will have toiletries in large sizes so you don’t need to pack your own for the journey. Genius. Upper Class travel on Virgin Atlantic. The first A350, called Red Velvet, flies from late summer this year between London and New York. The new cabin design is deeply attractive. Match that with Virgin Atlantic’s fun, exotic demeanor, and the company may be on to something big.